The CrossFit Open is a great time for all of us as athletes challenge ourselves both mentally and physically. It’s during this time that we are able to find that “next gear’ due to the added pressure of being judged and competing against their peers. Typically after the Open athletes are feeling “burnt out” (I’ve felt this way after nearly every single CF Open) and it’s not due to an increase in training volume, but more so the increase in stress and anxiety of putting your best performance on display, as well as measuring yourself against others. A few times a year there comes a time when we simply want to take a break from long WODs. After the Open is the perfect time to step back, evaluate our strengths and weaknesses, and change the main focus of our training. 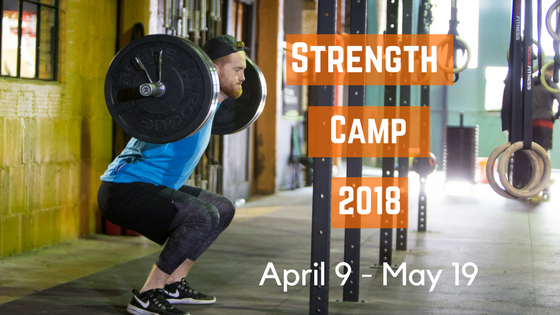 With that in mind, we are excited to announce Strength Camp 2018! Each class will feature . . .
*Arsenal members have the option of splitting the cost into two payments of $75. The first upon registration and the second the day the course begins.